The front end is nearing completion for what I can do at this point. 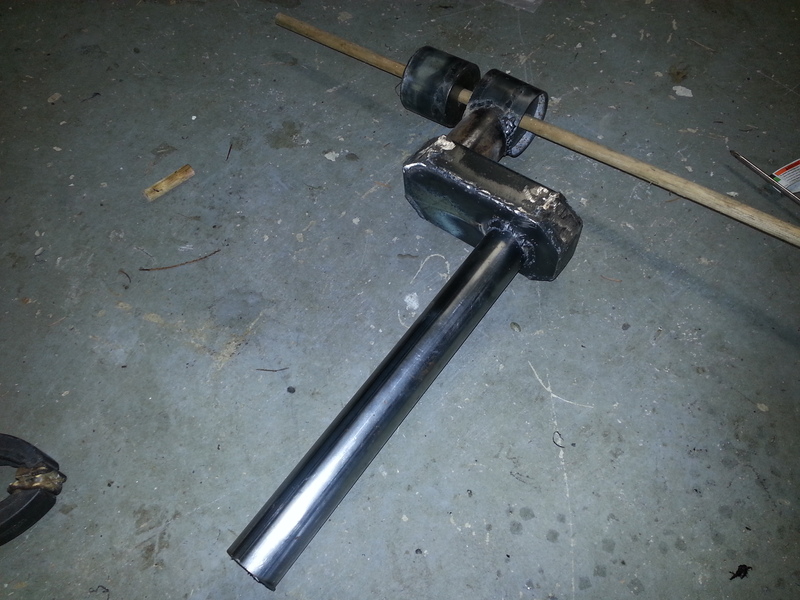 The wood dowel is where the pivot bolt will be (note the bearings and UHMW bearing retainers are not in place for the pic). The shock mounts will be added to the front ends pivot tube later when I can better figure out the required angle. Also cut out the sides of the frame. Just need to clamp them together and touch them up with the grinder to make them identical and make a nice round curve on the front where they attach to the pivot tube. 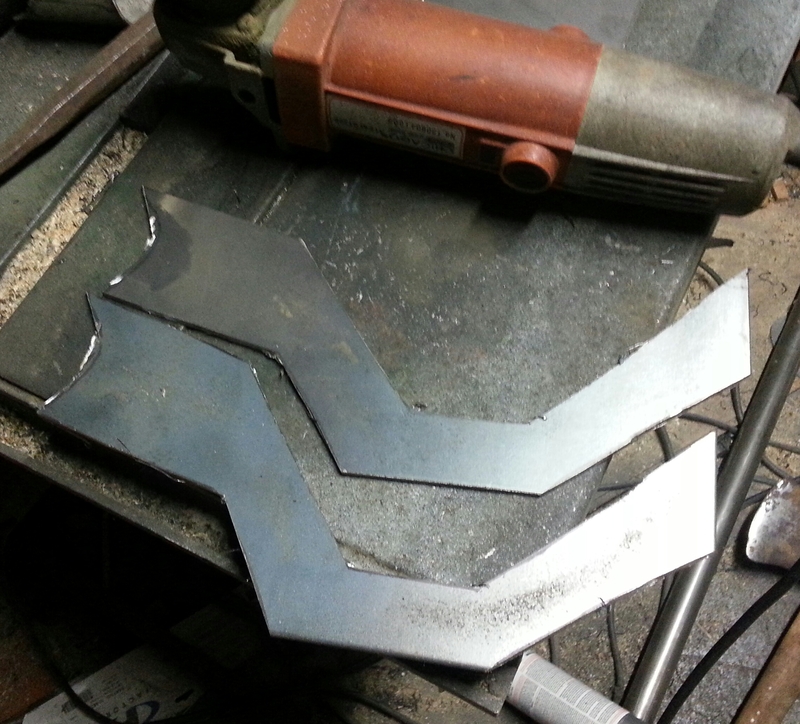 Then I can really begin welding the frame together there, and to the rear section of the frame.